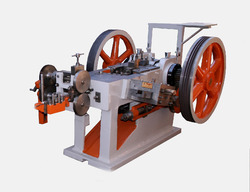 We are Counted among leading Manufacturer & Exporter of Bolt Making Machine such as Bolt Head Trimming Machine, Cold Heading Machine and Cold Thread Rolling Machine. Aiming our clientele delight, we engage us in manufacturing and supplying the most formidable range of Cold Heading Machine under our Bolt Making Machine segment. Manufactured in adherence to the set industry guidelines, these efficient machines are meant for prevention of accident, in case of any abnormal function in the machine. This extremely efficient range is offered at a pocket friendly price. 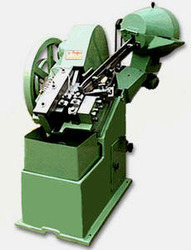 Counted as a distinguished manufacturers and traders of an extended compilation of Bolt Making Machine, We proudly engage in manufacturing, exports and supply of specifically designed and developed Bolt Head Trimming Machine. Made available in different specifications, these efficient machines are extensively popular for their excellent capacity and consistent performance. 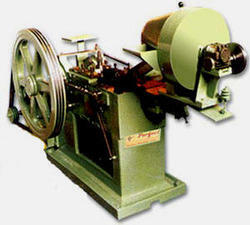 Utilizing the ultra-modern technology and the finest raw materials, we indulge us in manufacturing and supplying a premium quality Cold Thread Rolling Machine. Ideal for thread screws, cycles, automobile parts, bolts and other components, the proffered Variety of Bolt Making Machine is widely demanded among our clients. Our customers can acquire the range at industry leading prices. Looking for Bolt Making Machine ?